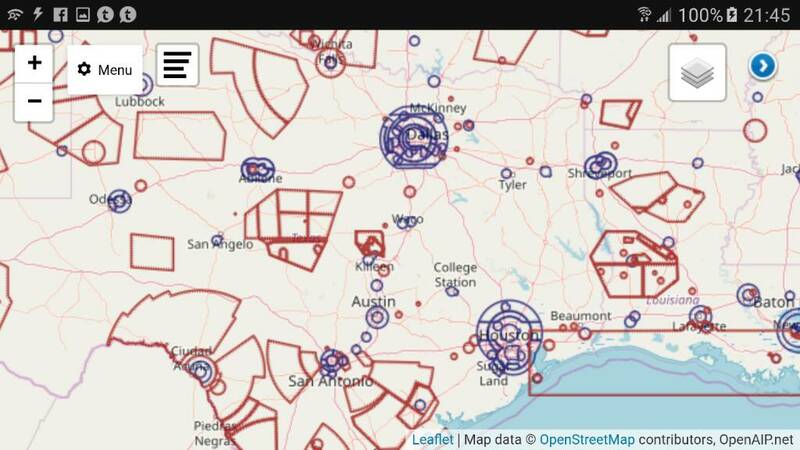 With all of the military bases in Texas There should be a lot of activity. I thought I will try to restart the Texas Military Activity and Frequencies thread. Here is some new frequencies for Randolph AFB. There is a ton of military traffic in and over Texas. But for some reason I'm having a problem with this thread right now and it doesn't seem like my replies are posting. I'll try again later if this one doesn't go through. I don't think the thread has been locked because it would not allow a person to even begin to make a reply. North / Northeast Texas area around DFW. I'd love to see a thread like this one get going again. I hear the trainers on a daily basis include on the weekends if the weather permits. But there is also a lot more. What I'm interested in is getting the frequencies for the MOAs down around the San Antonio and Austin areas. I can monitor as far south as Fort Hood from my location in Western Fort Worth. And I've been monitoring the military aviation traffic for almost 30 years. I did take a few years break until last year primarily because I've been doing this for so long. One frequency I have recently started hearing again is the Houston Center 307.3 which is low altitude over Fredericksburg, Texas. That seems a little strange to me but I have confirmed it when I was down there before as being a good frequency. I'm just mystified why I'm picking up a low altitude frequency in that area and I am wondering if the US IFR supplemen and other publications might have that one mislabeled and it might really be a high-altitude frequency? Can you share any of the ranges or MOAs down in the San Antonio / Austin regions being used? I can post some of the same type of frequencies from up here. I'm not thinking that this reply is actually going to post right now but I'm trying it again anyway. And if it does, then that would be great and I would love to get and share some information soon. Thanks for starting up the thread and hopefully it will be working for me this time. And if not this time, hopefully soon! I look forward to sharing and getting some good information would those who were interested. PS, as you can see in this screenshot all of the red boxes which are military operations areas and ranges and how they are all over Texas. They're all over the country of course but this is a good screenshot if some of the busier Texas MOAs and Ranges. It would be great if we could confirm the frequencies used in each and every one of them. Just as a starter here are some frequencies for the Brownwood MOA complex which is to the southwest of Fort Worth. A lot of good exercises and traffic can be heard in this busy military operations area. These are a few of the more busy ones in the Brownwood MOA. Do you have any of the frequencies used in the San Antonio area MOAs? Thanks for any help. I am just starting to monitor the military air bands. Here is some frequencies used at some of the area MOAs in the San Antonio area. Thank you Don! There is a lot of fascinating traffic out there and thankfully this stuff is not encrypted like the public safety stuff is becoming. One frequency you might want to check out if you don't have it in your radio is 252.1. I think the callsign is still HILL COUNTRY and it's used at Kelly Auxiliary Field as the 443rd Military Air Wing Command Post. I may be wrong about the Air Wing number but I can look it up later and correct it if I'm wrong. We've been getting some of the UHAUL callsign C-5 and C-17 aircraft doing touch-and-goes at Navy Fort Worth lately and I've heard them switch over to that frequency when heading back to Kelly. That's been a frequency in use for many years down there and I didn't even realize it was still a good frequency until about 2 or 3 weeks ago when I noticed they were using it to contact their Command Post as they were headed back to San Antonio. My sister and my mom live down in New Braunfels and I've been wanting to visit and spend some time monitoring the military bands to see what has changed through the years since I use to be able to drive down there quite often. One other frequency that I used to hear a lot of traffic on was the T-6 aircraft, I think it was the 90th FTS or Fighter Trainer Squadron, aircraft that were down at Randolph. They were using it as an air-to-air frequency for many years. I don't know if they still use that one or not but I have been hearing B-52 bombers from Barksdale that fly over Dallas headed out west using it lately also. I'll put together some good frequencies and post them here in the next few days. I've got some stuff going on that's going to keep me busy tomorrow and up through Tuesday or Wednesday. But I will put together a list of some frequencies that I know use to be used down in the San Antonio area by some of the different fighter aircraft as well as some of the trainers and larger transport aircraft squadrons. Oh yeah, I heard the TEXAS callsign F-16 aircraft up here at Navy Fort Worth just the other day and they are based out of Kelly also. They were using 138.1 MHz AM as their air to air frequency. They've been using that one for many years and it sounds like they still do. They are the 149th FW F-16 aircraft. I hope you have a great weekend and I will talk with you again soon Don! I mostly monitor the Randolph ATC frequencies. I do have a small list of frequencies from the old Texas Military Activity and Frequencies thread I am working with at this time. I will take any information for the San Antonio area. Everything I know is already in the older thread, the database or the wiki articles linked from the database pages for Sheppard, Ft. Sill, Altus, NASFWJRB and Dyess. That's probably just the tip of the iceberg. I have interference problems when trying to search the civil and military air bands and don't do it much any more. Brian I did hear some unidentifiable air-to-air chit-chat on 246.800 a few days ago. I heard something to on that same frequency I think two days ago. Unfortunately I couldn't tell who it was and I think they were just flying across the area. But thanks for letting me know and thanks for checking Tom. I need to find where the links are at and the wiki entry as well. I haven't done a whole lot of searching just yet so thanks for mentioning it. I live just east northeast of Randolph I don't have the best setup for monitoring very far out. At this time I am searching for frequencies and call signs that Randolph uses. Here is the link for the old Texas Military Activity and Frequencies thread. Thank you Don! And when I get some time in the next day or two I will send you what I have for Randolph and the San Antonio area. I got to go on to the bass back in 1999 and get a list of Squadron frequencies. I've been looking for that list for the last few days when I've had the time but I haven't come across it yet. I know that some of the frequencies may be different 20 years later but a lot of the times they will still be the same or at least many of them. Randolph is a busy base with those trainers I know so there should be a lot of good traffic and air-to-air chatter I appreciate the link also. With two active runways Randolph can be one busy place at times. It returns a lot of documents with local channel presets for various air force bases, or narrow it down by adding the name of your nearby bases at the beginning. I used to have a file from that site. It had a lot of good information. it was dated 2011 or 2012. The last file I saw they removed the list of call signs. I will look and see what I can find.